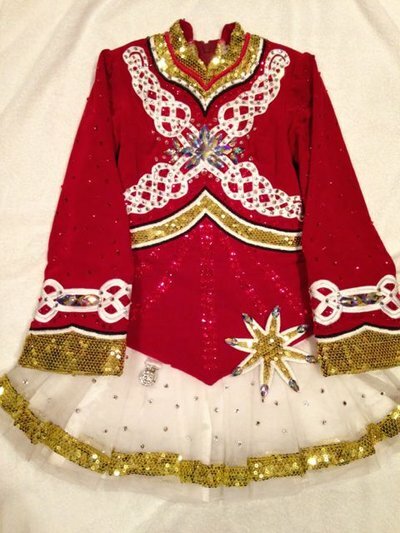 Custom designed by KDSF only 1 year old in excellent condition, worn by petite U11 open champion podium dancer. 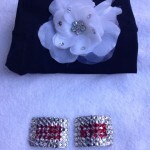 Hundreds of dollars worth of Swarovski crystals have been added in a variety of shapes, sizes and colors. The dress is much more sparkly in the hand than in these pictures. Room to let out and down, it has never been altered. 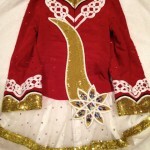 Lined throughout lightweight & very comfortable to dance in. 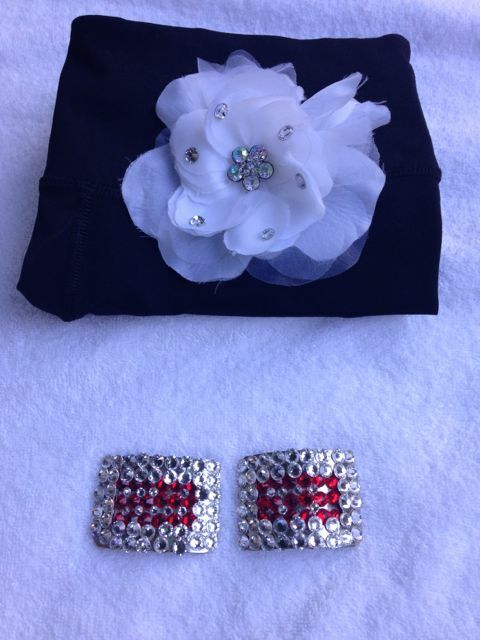 Included with the sale of dress are Swarovski cry staled shoe buckles and white hair flower. Can provide pictures with tape measurements. Returns are negotiable. 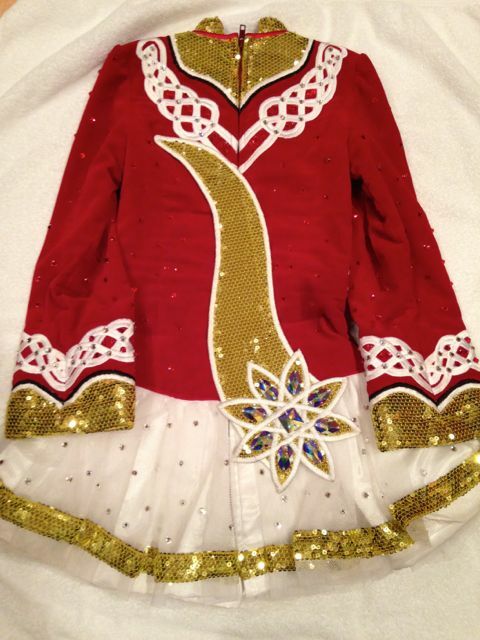 As the U11 dancer is very petite this dress may fit a 9 year old.